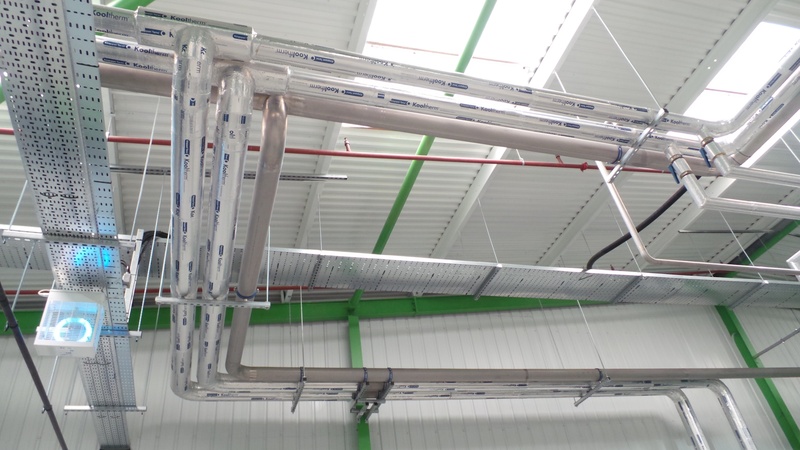 Energy-saving specialist, IsoCool, has completed an extensive stainless steel pipework project for the UK’s leading Rigid Plastic Packaging manufacturer, Sharpak Aylesham. 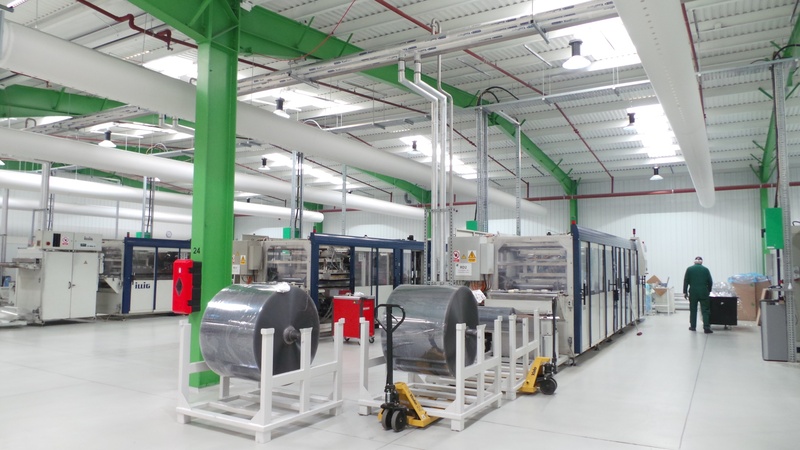 Part of a major £1.5 million production relocation plan for the company’s thermoforming facility in Kent, the new compressed air and chilled water systems are set to achieve substantial savings. Sharpak Aylesham first began production at its Aylesham plant in the 1960s, where it now manufactures a wide range of recycled PET food packaging products, including trays, punnets, assortment packs, and bakery tubs. 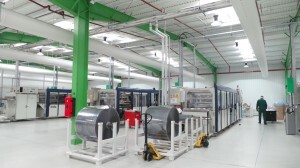 In order to maintain world-class manufacturing standards over the years, the plant’s thermoforming machinery and ancillary equipment has been continually updated with the latest technology. However, the supporting galvanised steel pipework for the compressed air and cooling systems had been largely modified rather than replaced, as the factory had expanded. This ageing infrastructure and the high potential for future issues such as corrosion and leakage were among the main reasons behind the company’s decision to relocate the plant to an adjacent facility. A new location for the thermoforming department meant new high-quality pipework. At the company’s existing premises, around 11GW of energy was being consumed every year, of which 31% was required to run the compressors and chillers. Even the smallest leak or drop in air pressure would end up wasting considerable amounts of energy. Relocating the site was deemed a far more efficient solution than refurbishment, which would also create a better working environment for employees. 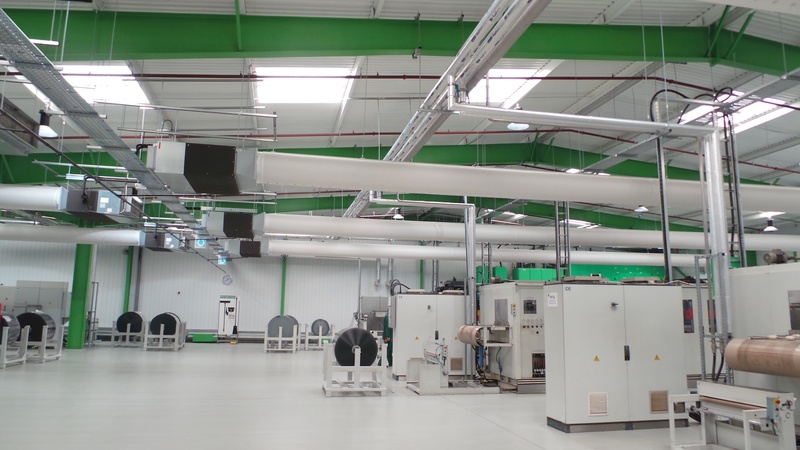 IsoCool designed a bespoke turnkey solution for the new facility, which included a compressed air ring main, plus flow and return chilled water headers,both with high and low level valved outlets. The chilled water pipework was insulated with foil faced phenolic foam sections to reduce thermal losses. 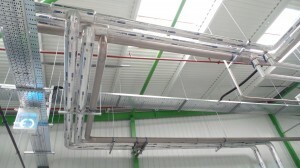 It was decided that some of the existing steel framework in the building would be used to support the new pipework in order to minimise the carbon footprint of the project. Installation of the pipework went without a hitch, despite extremely demanding conditions on site. The timeframe was short, and the job list long, which meant IsoCool had to be flexible and work around several other contractors. Despite this, Sharpak reported that the process of transferring the machinery into the new facility passed off extremely smoothly. Energy efficiency was a key driver behind the plant relocation program, and Sharpak Aylesham has closely monitored the site’s electricity consumption since moving. Even at this early stage, with such a significant proportion of electricity at the company’s previous site being used by the compressor and chilling systems, it’s easy to see the difference made by that the new pipework. According to Sharpak, the investment will result in energy savings of thousands of pounds, as well as deliver a reduction in maintenance and repair costs. Furthermore, the plant now has an infrastructure which is modern, efficient and suitedperfectly to the highest manufacturing standards.